“ You combine Stevie Ray Vaughan and Earl Scrubs with John Fogerty’s sense of melody and swampishness, you get Sam Morrow. Down and dirty, this man can play. He sounds like he came out of a honky tonk, too much whiskey and smoke, but beautifully sings about life, our life guys. This is what country should sound like; raw, no strings attached, tough, and beautiful. I love Morrow’s voice. With his career-defining third record, Sam Morrow should cement his place as a member of Los Angeles’ country elite. Concrete and Mud is a confident album, rooted in Texas twang, southern stomp, and old-school funky-tonk. Recorded largely live in the studio on a vintage Neve 8068 console with producer/engineer Eric Corne at the helm, it also shines a light on Morrow’s strength as a songwriter, front-man, and bandleader. 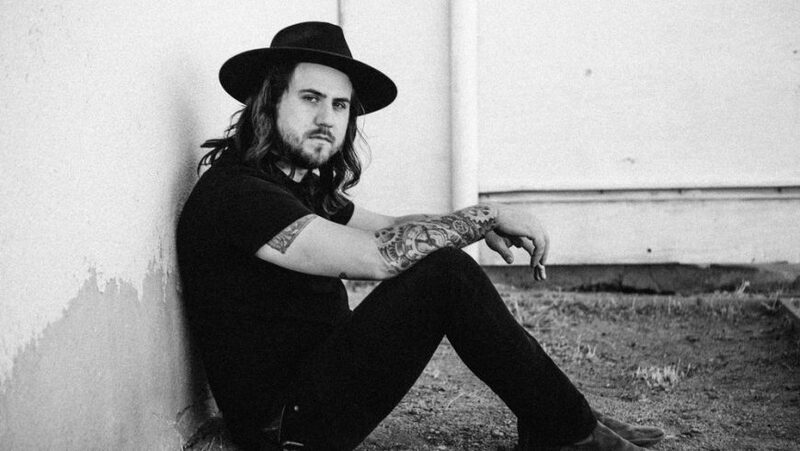 At 27 years old, Morrow’s found his footing as an artist and appears poised to join the ranks of West Coast heavyweights like Sam Outlaw, Jade Jackson, and Morrow’s friend and label mate, Jaime Wyatt whose vocals can be heard on three songs here. Musically, this is Sam Morrow at his electrified, energetic peak. The sad-eyed sounds of Ephemeral and its 2015 follow-up, There Is No Map — both written during the early years of Morrow’s sobriety — have been replaced by something more representative of Morrow’s live show, in which he fronts a band of plugged-in roots-rockers.